Upscale custom built home in the highly desirable area of Eagle Trace Golf Course with high end finishes throughout. 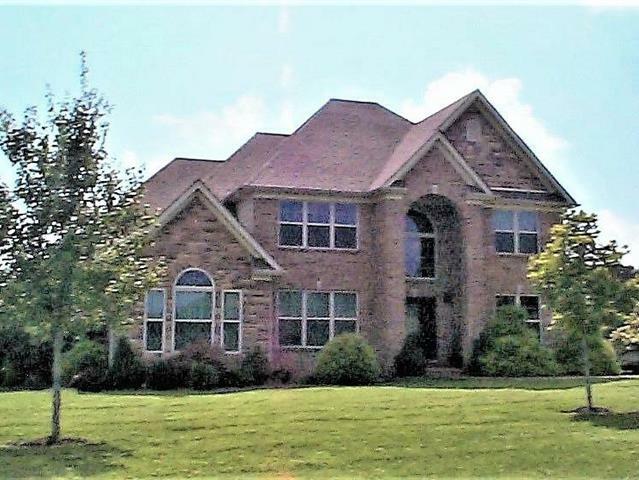 This all brick and stone home is situated on a .82 acre corner lot with lovely views of the greens. The home features 18 feet tall ceilings in the great room, accented by a glass front gas flame fireplace. There is hardwood and marble flooring throughout the home, no carpeting. There are granite countertops in the kitchen, with maple soft close cabinets, stainless steel appliances with an extra warmer cabinet below the oven. There is a bar area just off the formal living room. The master suite is on the main floor and the master bath has contemporary matte glass double vanity sinks, corner whirlpool tub with clear fron Upscalt, jets and lights, separate marble step in shower and towel warmer on the wall. The hallway guest bath has a claw foot tub, contemporary bowl sink and towel warmer on the wall. Updated lighting throughout the house. Too many upgrades to mention.